Running shoes are specifically designed to address a variety of foot shapes, weight differences, and biomechanical anomalies. 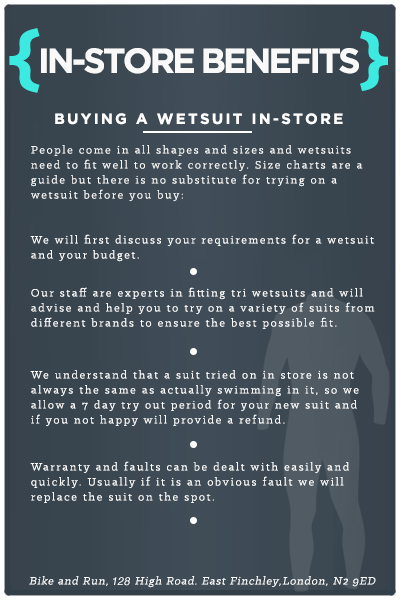 It is difficult to know which shoe will work best for you - this is where we come in. 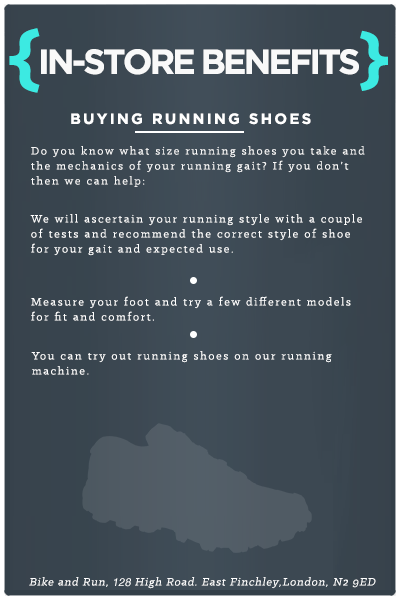 The first step to being correctly fitted for running shoes is to have your gait analysed. 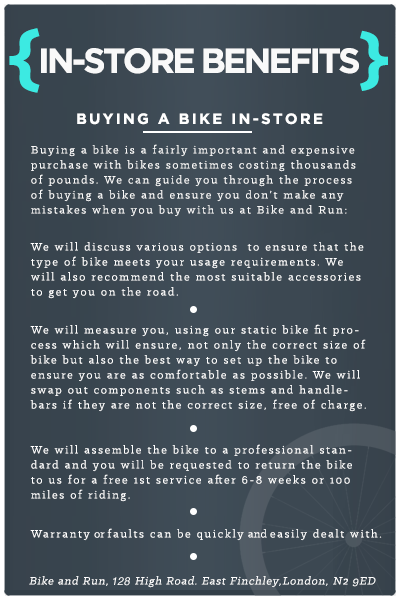 At Bike and Run, we will assess your gait and foot strike using a number of tests and from experience of our staff. Unfortunately we no longer have a treadmill due to space constraints. From here, running shoes can be recommended in order to make your running style as efficient as possible and help reduce the risk of injury. There is a shoe out there for you, let us do the hard work by finding it for you. Gait analysis, or running style assessment, is the key service we provide free to all our customers when buying their running shoes.